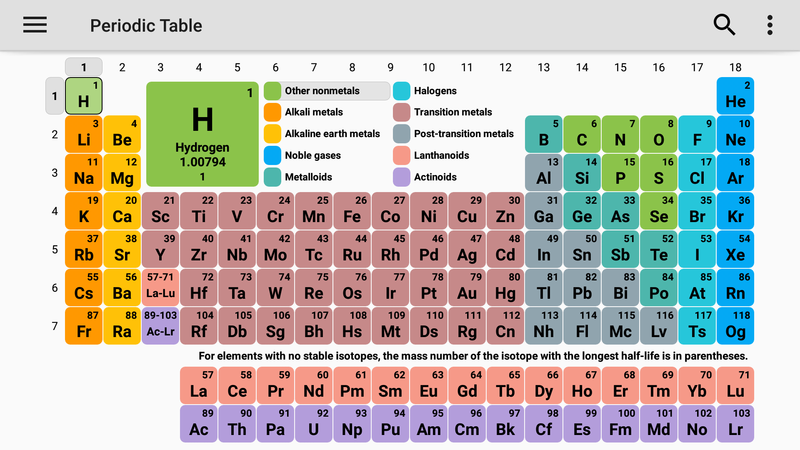 My problem is that I know exactly how to do every question correctly when using a periodic table, I just can’t find elements on the periodic table quick enough, wasting valuable time. 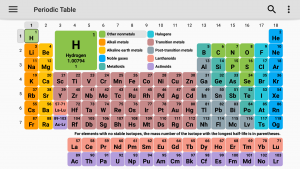 Possible solutions to this problem is memorizing the entire periodic table including charges and weight, finding something that can find the elements quicker then I can. 4.5/5- This app was very quick, simple and easy to use. 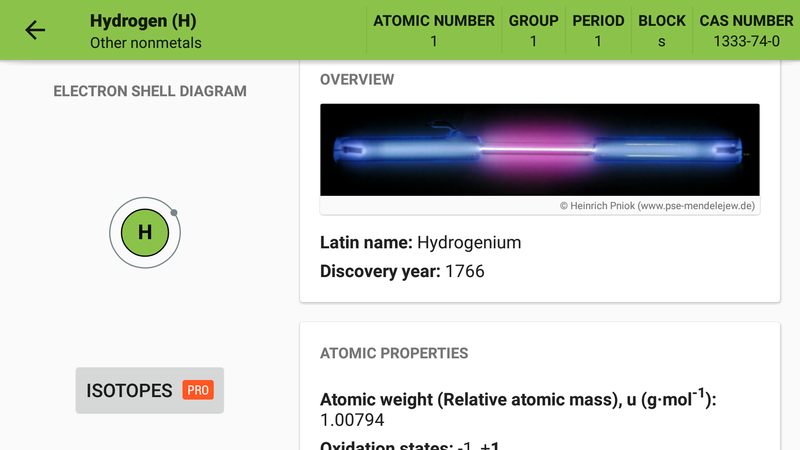 it had a number of features that I wanted to see in a periodic table app. But it had ads, and some parts of the app that you had to buy. 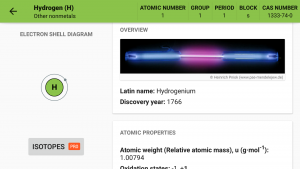 This app features 118 elements, atomic, nuclear properties and reactivity for each element. and, a Bohr diagram with moving electrons. Cons: Has ads, no search box for atomic mass, or protons, neutrons, and electrons. and, it is only on the Google Play store. I think I could have come up with a couple more possible solutions to the problem, but other then that, it worked out pretty well. How does the app help users build skills or learn content? How intuitive is the app? Is it self-explanatory or does it take a long time to figure out? What innovative elements does the app utilize?